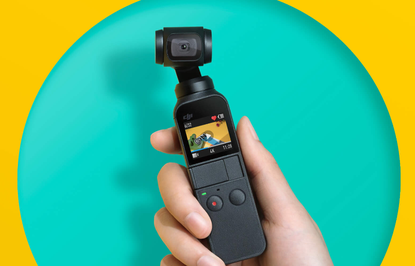 DJI has announced the Osmo Pocket, a highly compact three-axis stabilised camera. “Innovation is at the heart of every product we create and DJI Osmo Pocket is here to change the way photos and videos are captured, not just by professionals but by parents, couples, adventurers, travellers, and everyone in between,” said Roger Luo, President at DJI. Osmo pocket is DJI’s smallest three-axis stabilised camera. A 1/2.3-inch sensor records 12-megapixel photographs and 4K video up to 60fps at 100Mbps. Osmo Pocket also uses built-in dual microphones and advanced noise-canceling algorithms. The gimbal camera uses a 1-inch integrated touch screen that provides a live view as well as the ability to toggle through the various shooting modes, adjust settings, review footage and gain access to a full suite of creative features. A universal port under the touchscreen allows users to connect their mobile devices that use iOS Lightning or USB-C. Upon connection, the new dedicated DJI Mimo app will automatically open and serves as a monitor, while an in-app menu offers a variety of intelligent features and recording modes. The DJI Osmo Pocket will be available for $599. For more information, visit www.dji.com/osmo-pocket.